Kristian Beadle steps off a rickety bus in southern Mexico and finds a traditional coffee-growing culture that suits modern sustainability efforts admirably. Every steaming cup of coffee could tell a story, and the shade-grown coffee from southern Mexico’s Chiapas state tells tales of a disproportionate role in sustaining local villages, hillsides, and wildlife. It’s a story with several lumps of conflict and uncertainty stirred in. The volatility of the global coffee market makes it a difficult business, and Chiapas’ small farmers face the precarious equilibrium common to all small farms and businesses. But they face an additional set of unique challenges, including the shaky political truce between the government and Zapatista rebels who made global headlines in the mid-1990s for taking up arms in the name of indigenous peoples’ rights. Meanwhile, the toehold made by organic and fair trade initiatives is slipping in Chiapas even as a rapidly changing climate could kill the region’s top cash crop. Chiapas has some of the world’s tastiest coffee, but will the campesinos (peasant farmers) continue to grow it? Will the biodiversity and carbon storage inadvertently protected by this style of coffee production eventually be compromised? I went searching for these answers in the highlands of Chiapas. Uphill from the charming colonial town of San Cristobal de las Casas is the much smaller community of Chamelho. Swooning after a rough mini-bus ride, and waiting for the next transport, I made a pit stop at a church in the main plaza. It was a striking scene: a combination of grass, dirt, and indigenous icons surrounding scenes of Jesus and the Nativity, an odd melding of the Christian and Mayan sacred. This juxtaposition was a tourist attraction in less remote villages, but this church featured only local parents and their children listening to music and chatting amiably. Click here for more posts from the Voyage of Kiri. After a series of enthusiastic hand gestures — many people in these parts rely purely on the Tzotzil Mayan language — I was dropped off at a wooden warehouse that smelled of coffee. It wasn’t thick and tangible like your neighborhood coffee shop, but rather deep and musky like freshly cut grass. Clustered around a table were four Tzotzil Mayan girls in flowery blue dresses with ribbons in their hair, knitting new additions to their homemade garb. The place was a coffee cooperative, Majomut, and it too was a melding of the indigenous and the international. 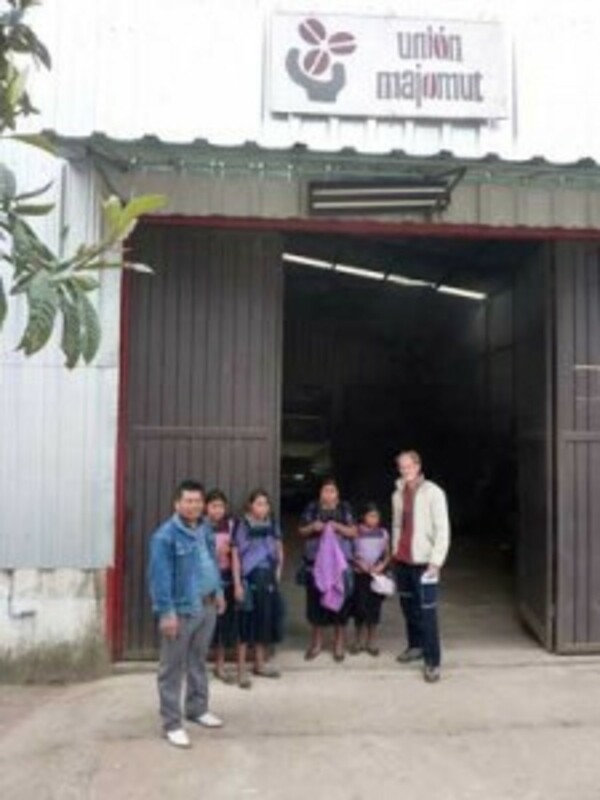 The cooperative purchases coffee from 928 member-landowners, paying them fair trade prices in accordance with their certification, then ships then beans to overseas buyers, such as Café Direct, which specialize in ethical coffee and tea purchasing. Antonio, the cooperative supervisor, greeted me jovially, and proudly led me to the reddish machine filling two big rooms. “This is where the magic happens,” he said in good Spanish. He explained how the contraption transformed the dried coffee cherries into usable product through a process of shelling, sorting, and roasting the beans. They were bagged under three labels: “local usage,” “national market,” and “overseas export.” The better the quality, the further the destination. Afterward, Antonio led me outside, promising a close look at a coffee plantation. I was surprised — the “plantation” looked like a forest, shaded by the canopies of tall pine trees and steep hillsides thick with understory shrubbery. Scattered banana trees revealed humans had modified the plantation, and a skinny path led to coffee plants and the shiny red fruits of Coffea arabica. The forest absorbed the coffee plants. “Why do they prefer to grow coffee under shade?” I asked. The coffee forest is integral to the Chiapas farmer lifestyle, Antonio explained. Campesinos organize their plots of land into milpas, a rotating combination of crops. For example, a five-acre parcel may be divided into two acres of corn, one acre of beans, and two acres of coffee. “In general, the corn and beans feed the family, and the coffee earns them money. The forest harboring the coffee also provides firewood, medicinal plants, erosion control, and great place for fruit trees,” he explained, highlighting the diverse value of the coffee plantation beyond being a cash crop. In Chiapas, at least, coffee traditionally is grown under the shade of trees, not to please environmentalists but for practical benefits. For one, growing in a diverse habitat keeps the plants healthy and resilient: Pests are less able to colonize the area; falling organic matter creates natural compost for the soil; tree roots and shrubs hold earth and slow water flow, minimizing erosion from heavy rains. Use of pesticides and fertilizers is uncommon. The shade lowers heat and evaporation, which becomes a significant benefit for other crops during the dry season. Even though they are human-modified systems, coffee forests have surprising biodiversity. Scientific studies have detailed their role in preserving wildlife habitat, on pollination and have identified how intensification of coffee production from shade-grown to sun-exposed monoculture causes a vast loss of species. On a more technical level, shade coffee can maintain the genetic diversity of native trees, according to an article in the journal Current Biology, which investigated bird and bat species living in coffee forests. 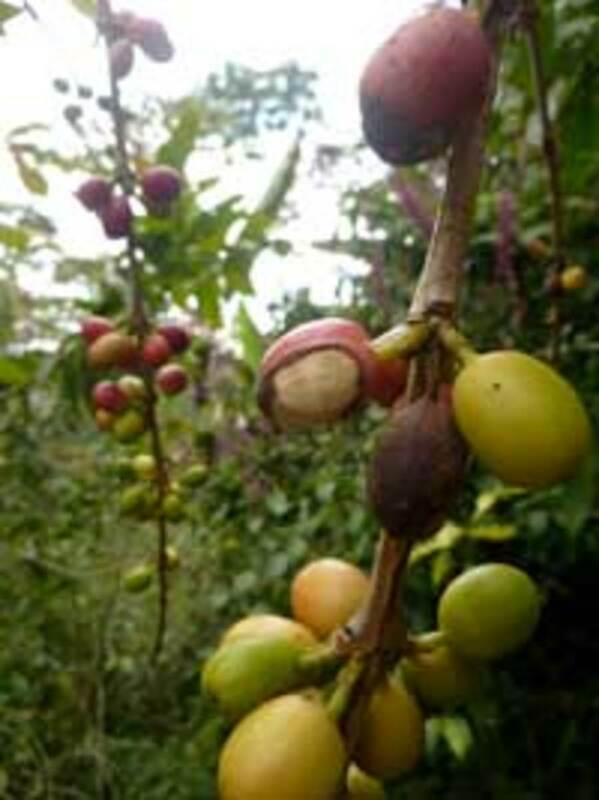 Lead author Shalene Jha of the University of Texas at Austin noted: "By supporting important seed dispersal processes, shade coffee farms maintain plant population gene flow across fragmented habitats." Therefore, coffee farms play an unusual and important ecological role that is just now being fully understood. Paying coffee farmers for carbon storage may be in the near future. A partnership between Rainforest Alliance, the World Bank’s International Finance Corporation, and an agro-industry corporation recently developed methodology for carbon monitoring in farms. A consortium of three states (California in U.S., Chiapas in Mexico, and Acre in Brazil) in late 2010 began to explore reductions in deforestation (also known as REDD, which the Guardian explains nicely in this Q&A). 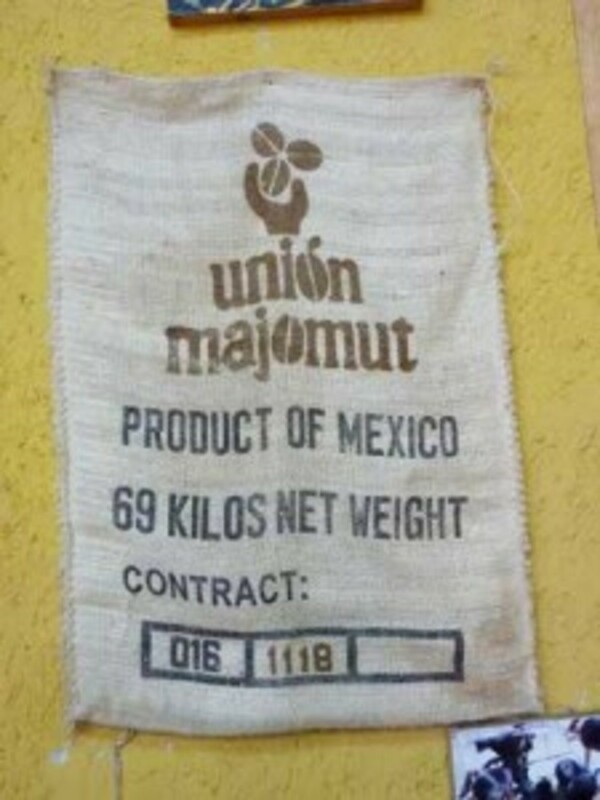 These transactions may play an important role in the continued viability of shade-coffee farms. Despite its profits and integral relationship with farmers, coffee has been a tricky business in Chiapas. In the late 1980s, the dismantling of the Mexican National Institute of Coffee, along with the collapse of the International Coffee Agreement, caused prices to spiral down to a low of 40 U.S. cents a pound — below cost for most coffee farmers. Nevertheless, the coffee intermediaries — affectionately called coyotes in Mexico, pirañas in Peru, and sharks in Indonesia — squeezed prices paid to small producers. Sun-grown coffee monoculture — think of an orchard instead of a forest — was promoted as a way to produce more beans with greater efficiency. In Central America, development organizations such as U.S. Agency for International Development, which historically invests heavily in helping coffee-producing regions, invested in the conversion of coffee farms to this higher-yield approach. The method requires substantial amounts of fertilizer and pesticides, which damages naturally occurring bacteria in the soil that contribute to organic productivity. Subsidies covered these expenses for a decade or more, but eventually farmers plunged into debt spirals after borrowing money to pay for these agro-chemicals. With their land altered by the chemicals, they couldn’t easily switch back to more traditional methods. Equally unfortunate, since forests weren’t around to hold the soil during heavy rains, erosion increased and the runoff itself was tainted by the farming chemicals. In response, fair trade organizations (which may have their own issues) began to collaborate with local coffee cooperatives like Majomut. They bypassed the coyote intermediaries by guaranteeing a minimum price for coffee (around $1.20 a pound). Organic coffee was also encouraged with premium prices. Traditional knowledge that supported organic production was re-introduced via workshops and town hall meetings. Ironically, USAID was now at the forefront of organizations promoting these practices. The goal of these new specialty markets was to sustain the livelihood of small coffee farmers and protect biodiversity. They succeeded. Nowadays one can purchase their brew at neighborhood coffee shops, a venue where the higher amount paid to the producer is easily masked by the markup on a cuppa. But price, politics, and precipitation continue to test the survival of cooperatives and the integrity of the system. Staying a step ahead of these changes is now the name of the game, something I’ll discuss more deeply next week. High prices, crazy politics and crazier weather threaten to wreck the symbiosis of shade-grown coffee in southern Mexico, as our Kristian Beadle explains in the second half of his look at Chiapas. Our blogger looks back at his voyage through coastal Mexico and sees that the problems, and solutions, there are mirrored throughout the globe. Having completed his 5,000-mile voyage, Kristian Beadle weighs his trip's carbon use and examines whether the benefits balance the costs. While visiting Oaxaca's forestry cooperatives, Kristian Beadle considers the link between remembering the dead and managing living resources — including new climate policies to reduce deforestation. The Voyage of the Kiri enters Mexico — at least the Tijuana watershed — before even leaving the U.S. Taking a vacation from the Baja sojourn, our Kristian Beadle reflects on how his boyhood idylls led him to want to conserve coastlines.